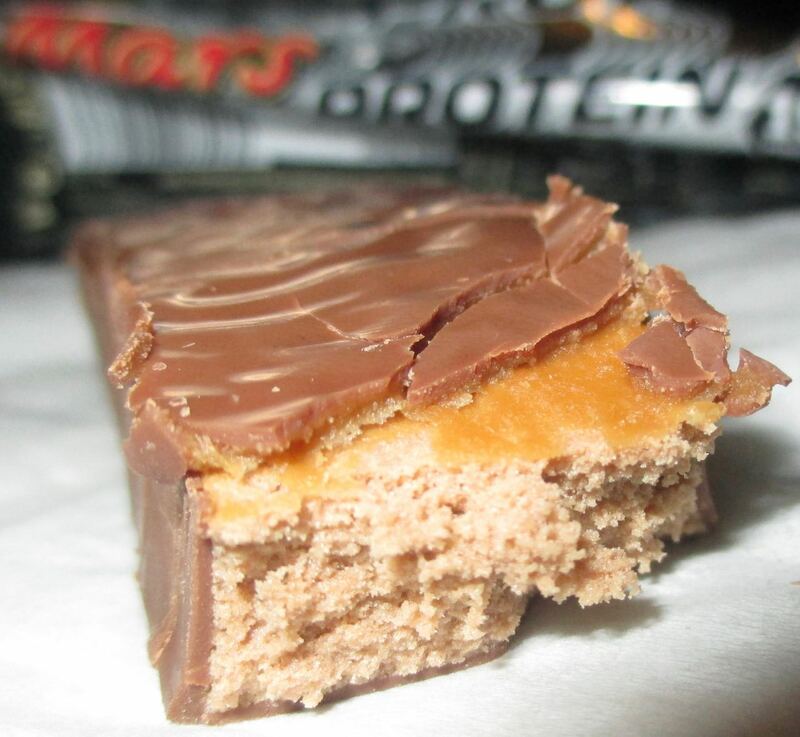 There is a new Mars Bar available, one specifically designed to be healthier, with added protein (19g) and a calorie count of just 200kcal. It's a difficult bar to find though, and at the minute seems only to be stocked by Amazon (UK). The bar seems a little flatter than a regular Mars and more rectangular. There are no ripples of thick chocolate on the top of this one, it looks very different. I bit into the bar and the texture caught me off guard. 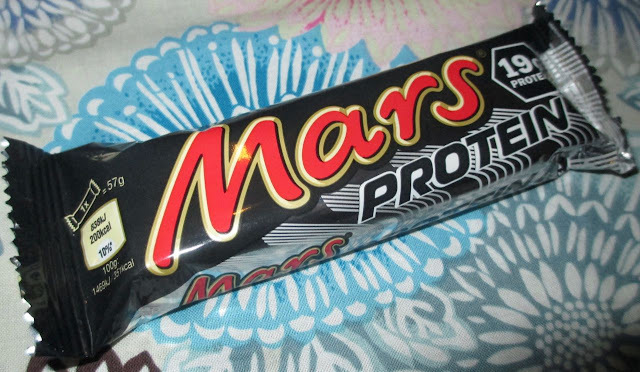 Firstly the chocolate is very thin, just enough to give a hint of the Mars flavour, but not enough to feel soothing. It was the same with the caramel, a token layer for a bit of a sweeter taste. The “nougat” bit is the new soya protein infused section and has a chewy texture. It feels heavy and clay like, and was almost powdery in the mouth. It feels like it is good for you, and it is doing its bit if you are off to the gym to build those muscles. Truth be told I only go to the gym for a gentle swim, and muscle growth isn’t high on my agenda so I guess I’m not its target market. 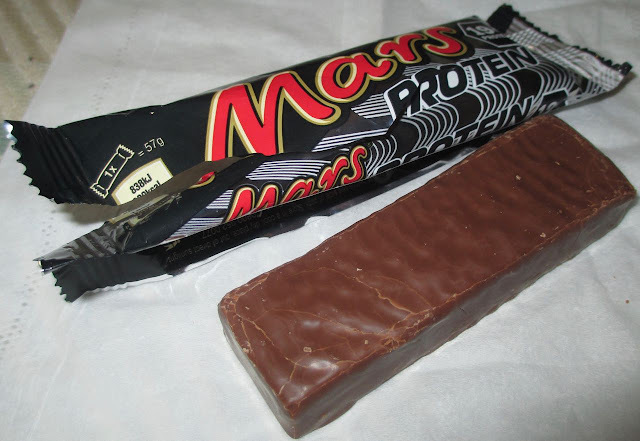 In conclusion this might not be the best bar if you are just looking for a light low fat Mars, but this is perfect if you are looking for protein bar and want one with a Mars flavour.